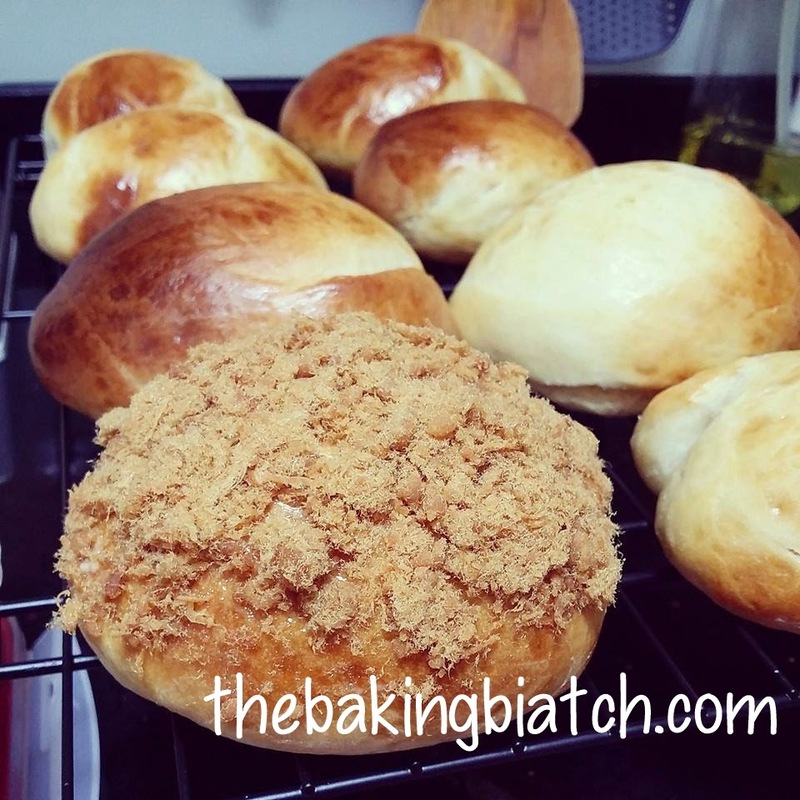 I LOVE pork floss buns. I really do. 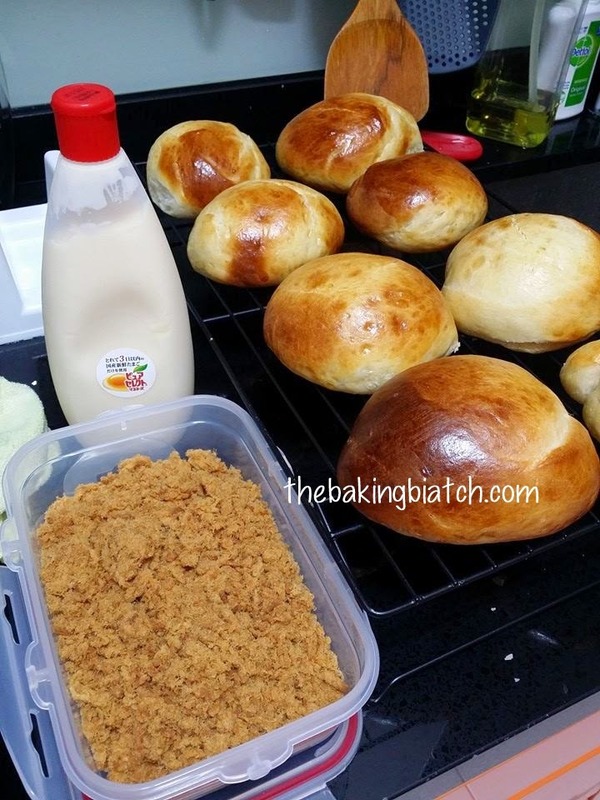 Here's a simple recipe for an easy pork floss bun where one can top the buns with as much floss as one fancies! 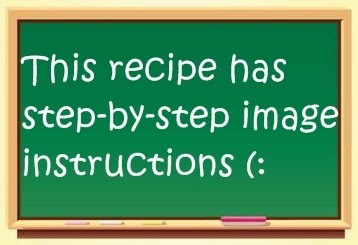 This recipe is fairly managable so I'd rate it a difficulty level 3 out of 5. 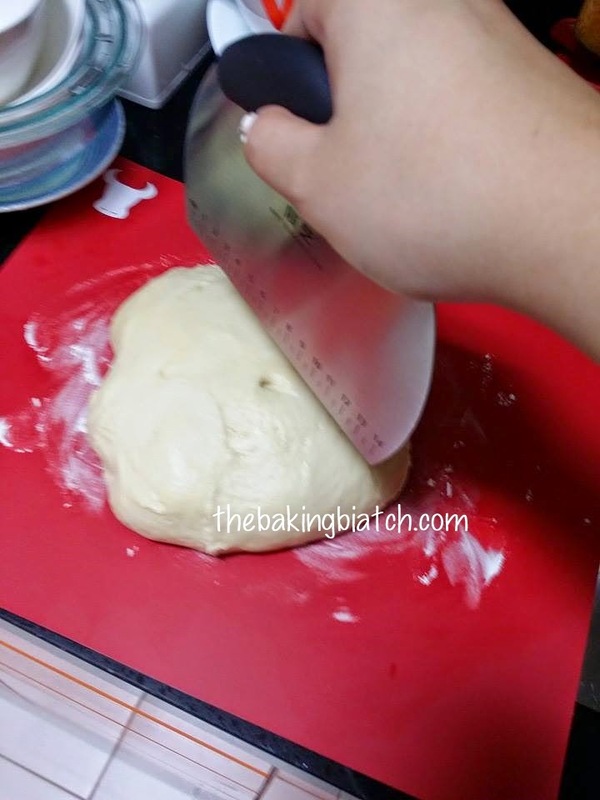 It takes about 3 hours to bake although the amount of time needed for work is only about 30 minutes. 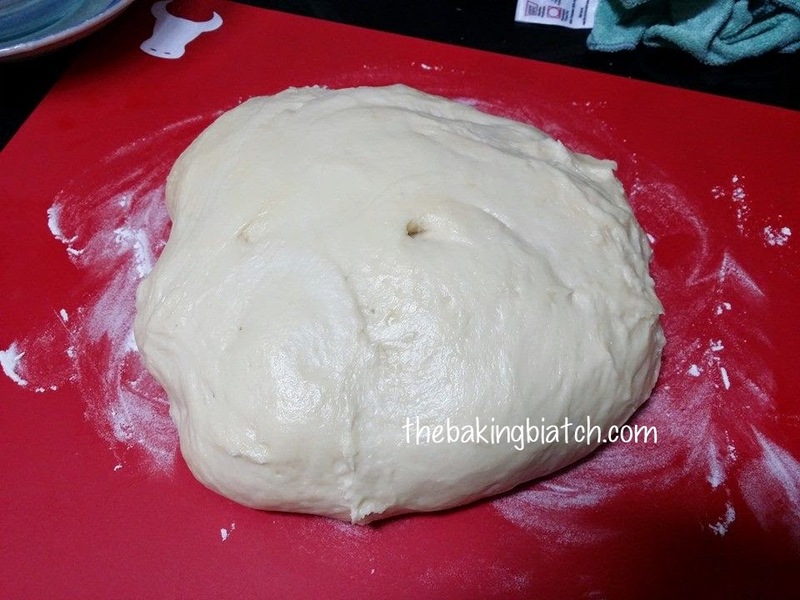 Place dough on floured surface. 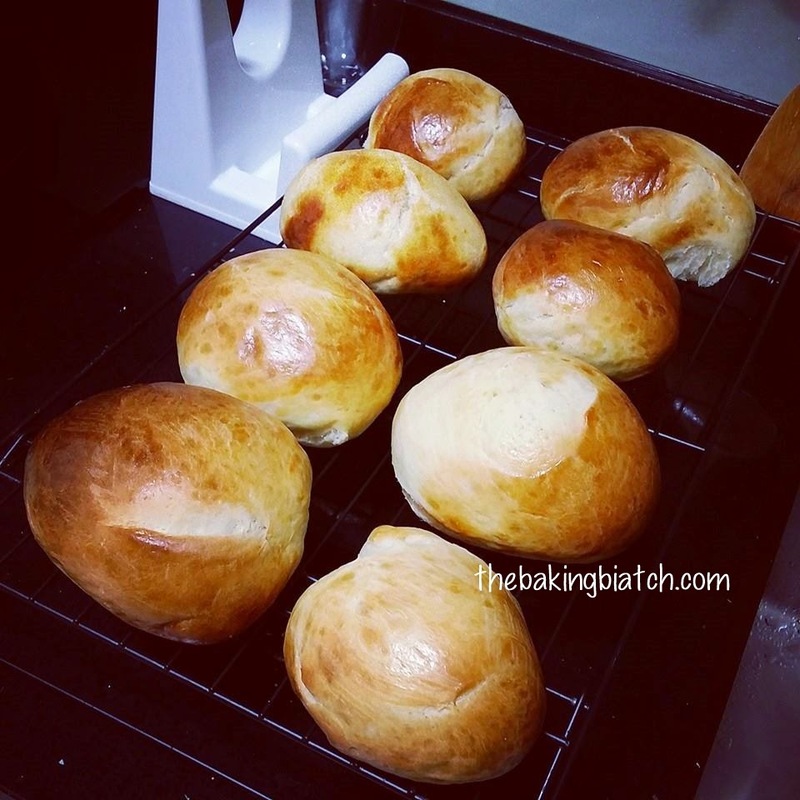 Roll bread into logs. Give them good spacing in between. They do 'grow' a fair bit. Proof in a warm place for 40 - 50 minutes. 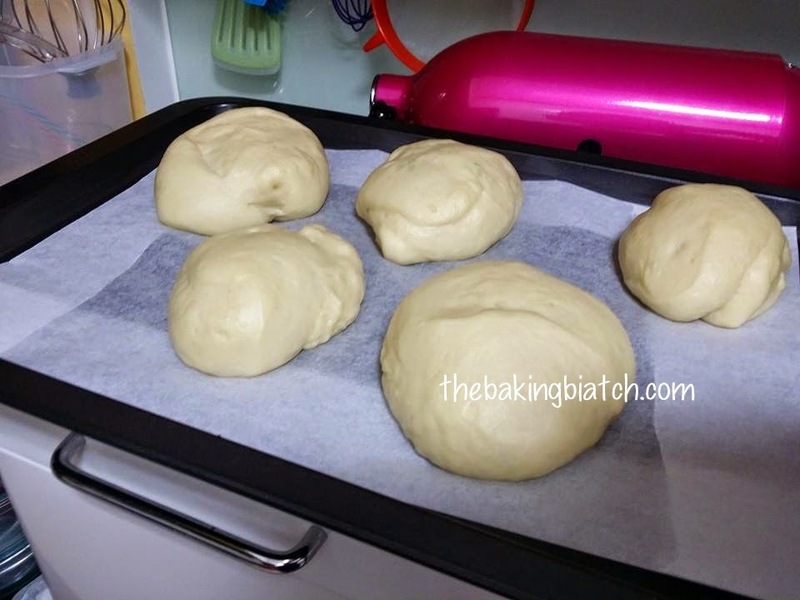 Alternatively, I warmed up my oven at the lowest temperature of 50 degree Celsius for 3 minutes and switched it off before proofing the bread for 20 minutes. 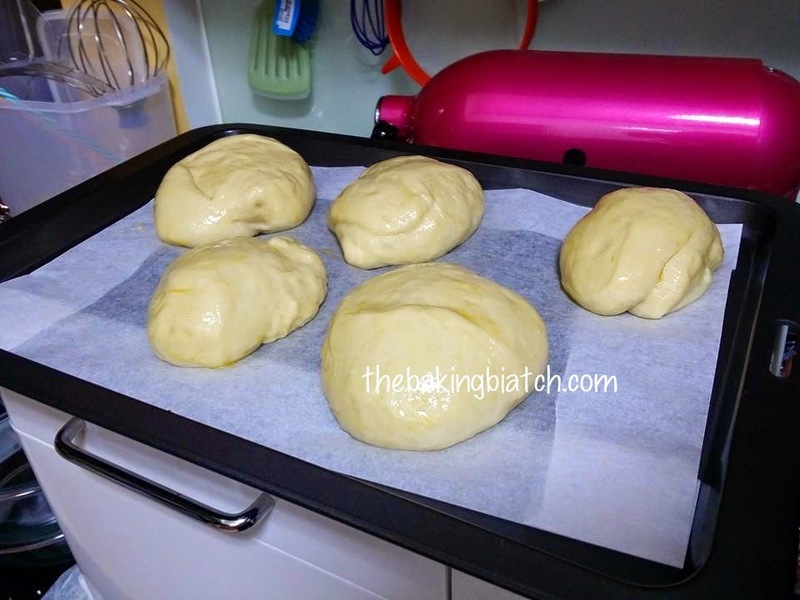 After which, remove from oven (keep it somewhere else warm) and preheat oven to 170 degree Celsius. 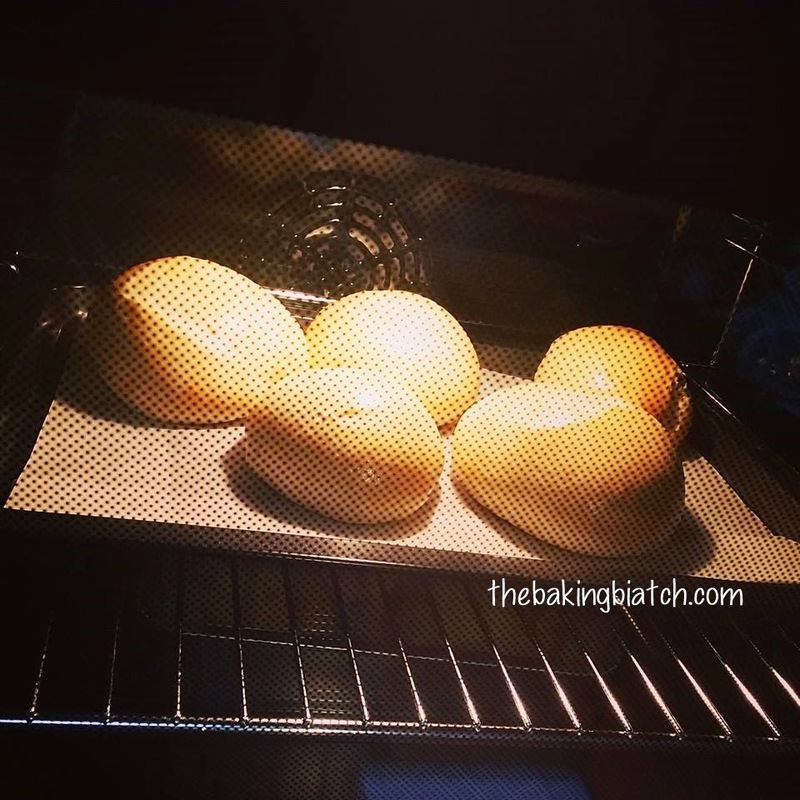 Allow bread to bake in the oven for 17 minutes. All brown! 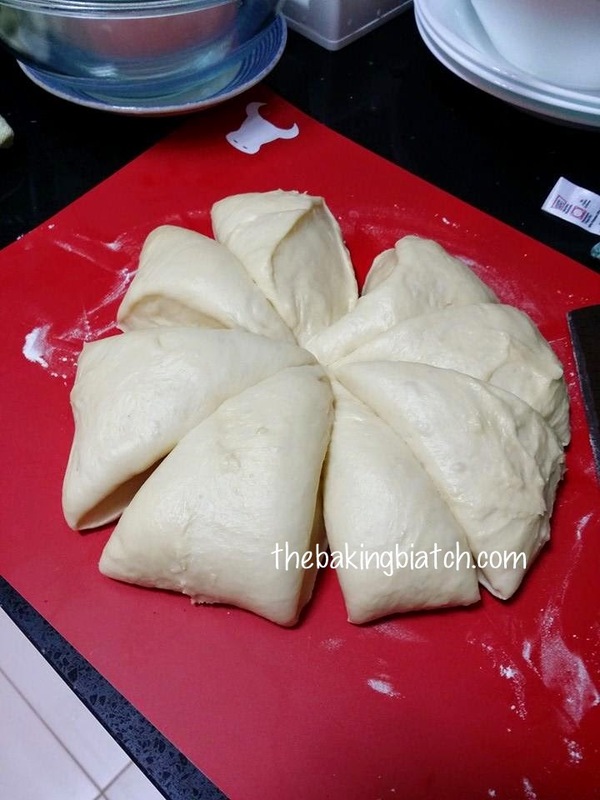 Allow bread to cool before topping with floss. The bread and floss is best eaten on the same day. 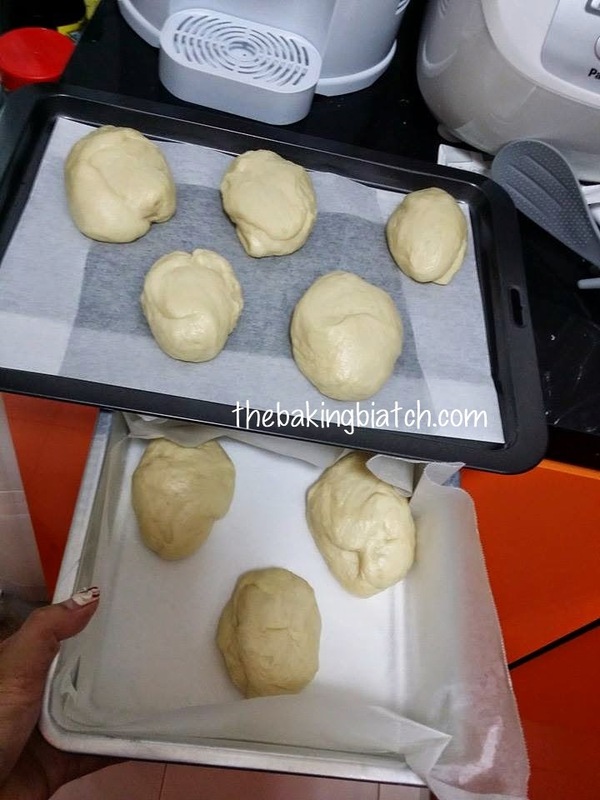 If you're intending to keep it for the following day, store the cooled bread in an air-tight container and top it the next day. 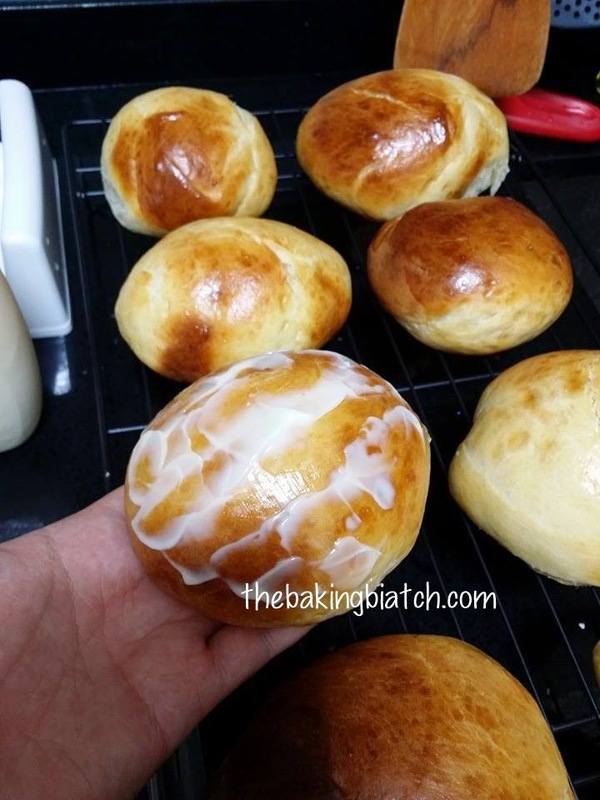 Apply more mayonnaise on the exterior of the bread. Coat the bread with the floss. 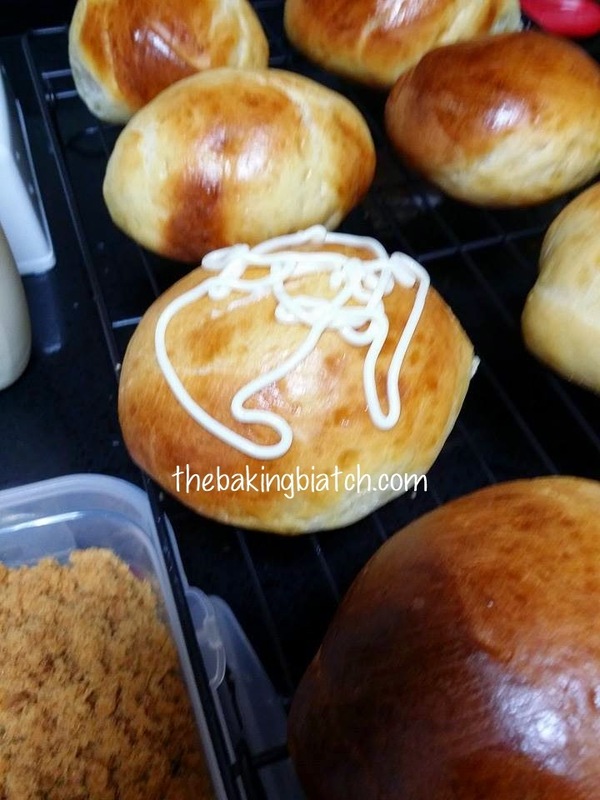 I rolled my bread in the container filled with floss.